Tombo Rucksack is made from a PU leather and has many uses. It is popular with both male and female customers. 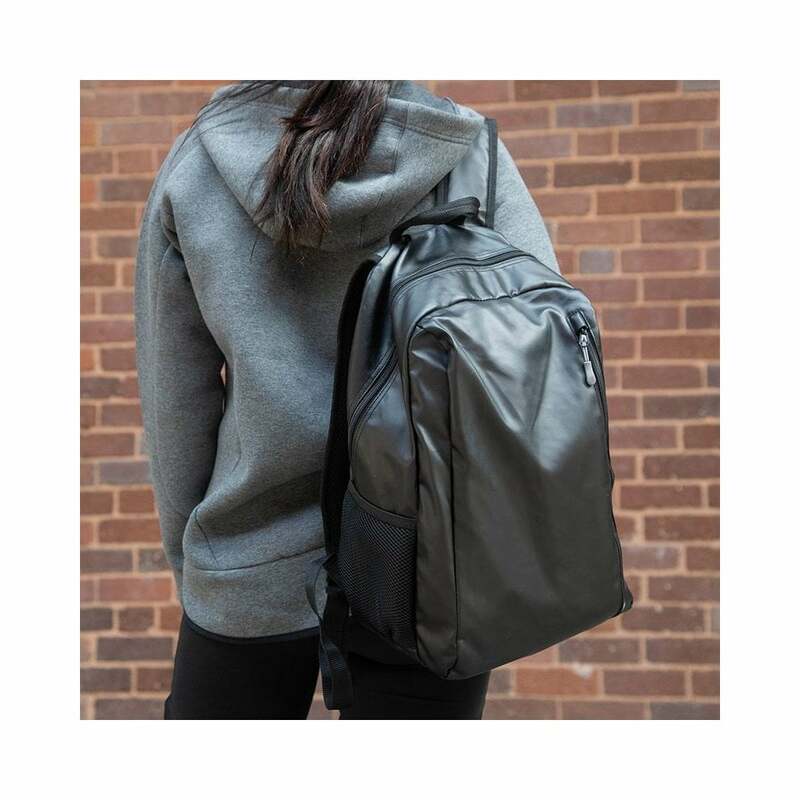 It has adjustable shoulder straps with light padding and a main and front zip opening. Black only colour.